Could Redmond be facing Project Maven-like pushback? In brief: Microsoft has just been awarded a $480 million contract to provide the US Army with combat-ready HoloLens augmented reality headsets. The headsets will be used in training, but the Department of Defense also wants to be able to deploy them during active combat missions. Bloomberg notes that a government description of the program says, "[We aim to] increase lethality by enhancing the ability to detect, decide, and engage before the enemy." Microsoft’s HoloLens is currently only available to developers for $3,000 and businesses for $5,000. A consumer model for a much lower price may reportedly be unveiled at CES 2019. The government contract is asking Microsoft to provide 100,000 units. That breaks down to about $4,800 per headset. However, the DoD is also tasking the tech giant with developing military-grade software to go along with the highly customized devices. The Army wants the goggles to allow for night vision and hearing protection. It is also asking that the software monitor vital signs, and detect concussions. 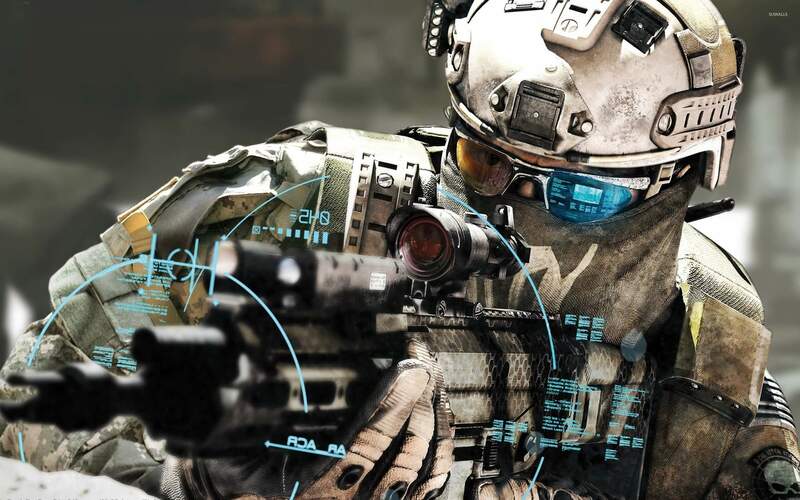 "Augmented reality technology will provide troops with more and better information to make decisions. This new work extends our longstanding, trusted relationship with the Department of Defense to this new area," a Microsoft spokesman told Bloomberg. "Augmented reality technology will provide troops with more and better information to make decisions." It is unclear how Microsoft will be able to provide all of that for less than it sells enterprise versions of the HoloLens, but knowing US government expenditures, the $480 million was probably just a development fee with a future purchasing price yet to be determined. How Microsoft staff will react to the military contract remains to be seen. Employees recently raised a fuss with Redmond over its deal with Immigration and Customs Enforcement (ICE) even though the company had only agreed to supply the agency with email, calendar, and messaging services. President and Chief Legal Officer Brad Smith said in a blog post that Microsoft will remain committed to its military and governmental agreements despite pushback from staff. Employees that are ethically conflicted regarding any contracts will be allowed to switch to a different project if they wish. "To withdraw from this market is to reduce our opportunity to engage in the public debate about how new technologies can best be used in a responsible way," said Smith. "We are not going to withdraw from the future. In the most positive way possible, we are going to work to help shape it."